Collaboration - LIMB LAB LLC. At Limb Lab, we believe in the power of collaboration. Do you need help finding the right tool or the right fit? Do you want to connect with experienced surgeons, physicians and therapists? Want to learn about the latest technology or techniques? Are you an innovator with something to share? Share the Wealth of Knowledge. At Limb Lab we believe in the power of collaboration. Whether you are a student contemplating a career in our field, a practitioner looking for resources and support, or a therapist or physician looking for answers to your patient’s questions, and solutions for their challenges, we are here for you. We don’t just love to learn, but we love to share what we’ve learned. As Napoleon Hill says, “It is literally true that you can succeed best and quickest by helping others to succeed.” Let’s work together to innovate the industry and create the best possible care for prosthetic and orthotic patients. If you want to be invited to educational events we host throughout the year, let us know, and we’ll get you on the list! We are available to attend patient appointments to help advise on fit, function, goals and outcomes. We can also be there to make adjustments when your patients sees improvement to their gait. Are you a physical or occupational therapist looking for resources to best serve your patient? We love to work together towards a common goal: improving the overall function and health of the people we serve. Are you part of a team looking for an in-service highlighting common prosthetic and orthotic solutions commonly seen in hospital, outpatient, or skilled nursing facilities? What problems or challenges can we help you solve? Are you curious about a career in prosthetics? Want to know what kind of schooling you will need? We are happy to connect with you to tell you more. Come hang out with us at the lab and see what we do all day! Are you considering a career in the prosthetic field? Come and shadow us for a couple days so you can see what we do. We can help you decide if this career is the right fit for you. Have you completed your Master’s degree in Prosthetics and Orthotics and are looking for a lab to try out what you’ve learned? At Limb Lab we provide a quality, comprehensive residency program through NCOPE. We’re happy to sit down with your patient and talk them through the process of surgery and what they can expect afterwards as they learn to use a prosthesis. We can even connect them with someone who’s been in the same situation to answer their questions from experience. Does your patient want to test a few prosthetic solutions before deciding which is the right fit? We can connect you with manufacturers of the best prosthetic devices in the world, and arrange trials with your patient to decide which solution has the best value and benefit. Are you a teacher looking for ways to engage your students in the collaboration of technology and science? We love showing bright young minds the cool things we do all day. Let’s connect to schedule a presentation. Limb Lab is also active in offering lectures to colleges and universities: from physical therapy to prosthetic/orthotic programs, we can offer an overview of upper and lower extremity prosthetic solutions and the ways that practitioners, physicians and therapists work together in the real world. Are you a prosthetic practitioner who needs help finding the right tool or the right fit? Would you like to connect with experienced practitioners, surgeons, physicians or therapists? We’re happy to share what we know about the latest technology and techniques, just give us a call. Do you want to start your own business, or take the one you have to the next level? It’s not as scary as it sounds! Are you looking for a Lab? We are looking for new ideas, positive energy, and creative minds. Let’s see if we are the right fit. Are you looking for test subjects to try out a new device or technique? Want to see how your technology stacks up against similar products? Would you like one of our practitioners to give you a review? We love connecting with our vendors to brainstorm, innovate and improve. Limb Lab is happy to provide you with an independent opinion of care plans, industry trends, justifications for certain technology, and how to help restore function to your policy holders. We believe in individualized, outcome-based care, and as an independently owned and operated company, we can truly offer exceptional, unbiased, patient-centered solutions based on each patient’s unique situation and lifestyle. Let’s connect! 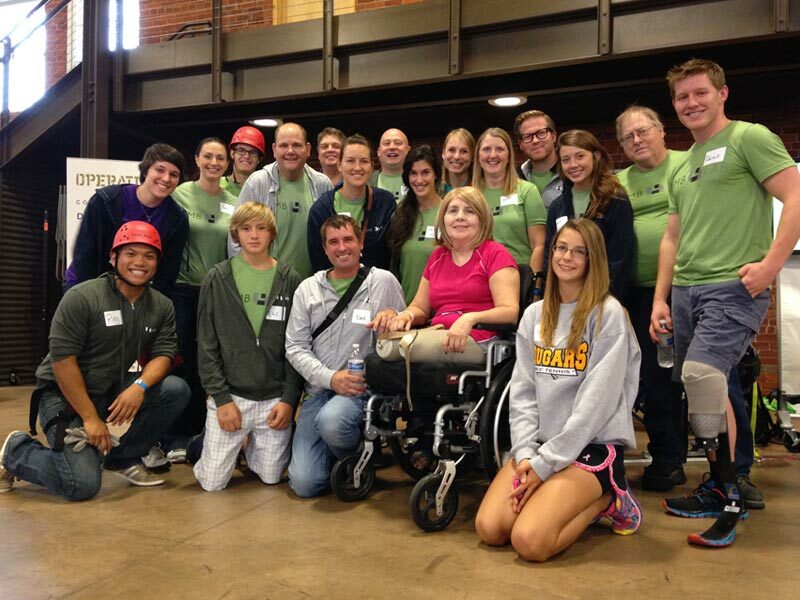 The Amputee Coalition is a national organization that supports people dealing with limb loss. Their mission is to reach out to and empower people affected by limb loss to achieve their full potential through education, support and advocacy, and to promote limb loss prevention. They provide incredible resources to amputees and their families. For more information, go to: where you can find comprehensive information and resources free of charge.